5.1 Flaubert's Parrot as Historiographic Metabiography, Biographical Metafiction, or Fictional Metabiography? The English writer Julian Barnes has developed an experimental style during his writing career, which spans twenty-two novels as well as numerous essays and short stories. His novel Flaubert's Parrot, which was his third published book in 1984, marked an important milestone in his career and shaped his image as an outstandingly talented writer who is fearless of unconventional writing. The result was the Booker Prize short-listed novel Flaubert's Parrot. In the novel he merges a postmodern style within a biographical story that is profoundly thought provoking. Neil Brooks described the novel in his comparison to The Good Soldier as "part novel and part criticism of both modern and postmodern theories of textuality" (Brooks 1999, 50). Meanwhile, Barnes presents his impressively extensive research on Gustave Flaubert and incorporates his knowledge into the text in a very entertaining way (Holmes 2009,71). Due to its experimental style and unconventional structure the book caused a controversial debate whether or not it is still accurate to call it a 'novel'. The extensive sections that do not follow a coherent storyline and the excursions on literary critical topics complicated the book's classification and categorization into a specific genre. However, Barnes himself claimed that he considers his work as nothing else than a novel. Therefore and due to the fact that different publishers decided to define it as novel as well, this thesis will refer to Flaubert's Parrot as novel, too. After all, literary studies deal with Flaubert's Parrot as a postmodern novel and it has often been categorized within the genre of fictional metabiography (Guignery 2006, 37 - 41; Childs 2011, 52). Scholars focused often on the two stories the book offers. Namely, the one story is the search for Flaubert's parrot and the other one is about the main character's past. Both stories are connected through intertextual references that are an interesting issue for literary critics. In particular, the intertextual devices in the novel were often subject for literary studies that aimed to interpret its deeper meaning. The main focus of the intertextual research is Gustave Flaubert being the main reference of the book's title. However, no independent analysis exists that focuses only on the content's intertextuality. For this reason it is appropriate to take a closer look at the great amount of references in the novel. Barnes used relations in form of quotations taken from Flaubert's works and written remains in order to create the aimed parallels between the real writer and the fictional narrator. These resources appear so abundantly in the book that reading the novel seems equivalent to reading a Flaubert textbook.  What significance do these references have for the novel? How does the narrator and main character Geoffrey Braithwaite deal with them? And how high is the intertextual degree of Flaubert's Parrot ? I want to find answers to these questions. Hence, this thesis aims to show how intertextuality has an essential impact on the novel's interpretation and meaning. For that aim, the thesis will proceed progressively from a general level to a specific analysis of the novel. Firstly, the term 'intertextuality' , its history and development, and the theory it designates will be defined. The specific terminology and its usage for the literary studies will also be discussed. Furthermore, the distinction of the theory will justify the application of mainly Ulrich Broich's and Manfred Pfister's perimeter of intertextuality. The utilization of their theory on Flaubert's Parrot as a whole will begin with the methodological analysis of the book. Thereafter the examination of the intertextuality between Flaubert's Parrot and Flaubert's written remains will be examined in detail. For this purpose the novel's genre as fictional metabiography will be determined, as it will serve as the basis for showing the intertextual connections. Subsequently, the novel Madame Bovary will serve as the main reference to illustrate the intertextuality between Flaubert's Parrot and Gustave Flaubert's works. The conclusion will present the output of the analysis and illustrate its contribution to the studies on intertextuality. The course of this thesis cannot answer the question of which reference is true and which one is fictional. However, this is not crucial for the interpretation of the novel. Rather, the relation's outcome and impact on the book's meaning are the central issue. 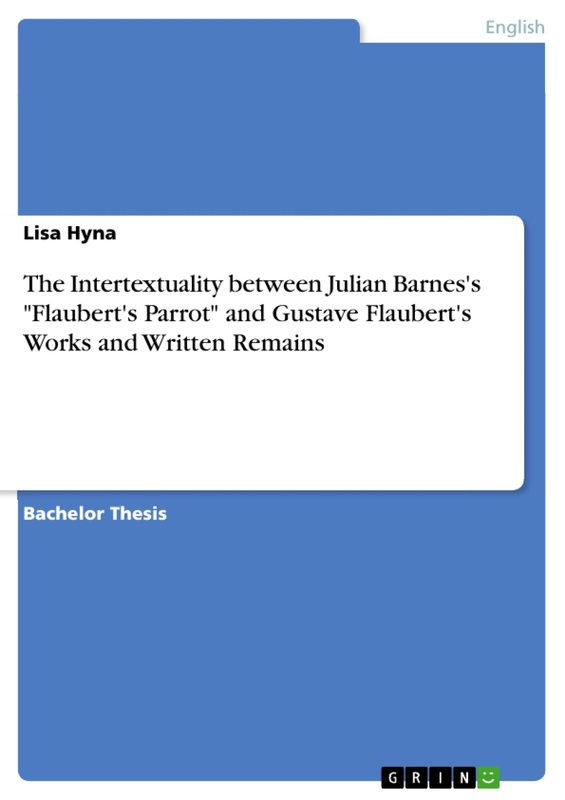 I used essays on Flaubert's Parrot and other Julian Barnes works as groundwork for my analysis as well as textbooks on intertextuality to accomplish this purpose. Furthermore the examination was based on theoretical works on the topic of fictional metabiographies, interviews with the author, and works on established literary theories. Presupposed is the knowledge of the novels Flaubert's Parrot and Madame Bovary as well as Julian Barnes's and Gustave Flaubert's basic vita. The theory of intertextuality was developed as a part of the poststructuralist studies in the 1960s. It was mainly evolved by psychoanalysist and literary theorist Julia Kristeva who expanded the work of Ferdinand de Saussure and Mikhail Mikhailovich Bakhtin, who doubted the existence of fixed meaning and objective methods for interpretation. Their approach, that no text can be dealt with as a self-sufficient whole, was extended in Kristeva's work to the idea of intertextuality that every text is related to all other existing texts. This means that no text, whether it is an essay, a short story, or a novel, is evaluated as an individual but rather as one part of a resulting intertextual network (Worton, Still 1990, 1). The elaboration of the intertextual theory by Julia Kristeva led to an awareness of her theory in the postmodern literature of the 1980s. The widespread usage of intertextuality in the postmodern movement caused its close correlation to postmodern authors, which in turn entailed the common categorization of intertextuality to postmodernism. The fact that the development of the term intertextuality was authorized in the 1960s and its usage as terminology was only used from that time on supports this categorization. Though Michael Worton and Judith Still albeit indicate that its essential features had already been discussed from the Greek philosophers on. They illustrate how Plato, Socrates, and Aristotle operated with intertextual structures as well as the Romans Cicero, Crassus, and Quintilian down to sixteenth century writers including Shakespeare and Erasmus. Albeit all their studies on the influence of past works on current literature were not developed beneath the accurate term intertextuality, they reoccur in literary studies continuously up until the twentieth century when scholars eventually established the intertextuality term (Worton, Still 1990, 2-28). The literary critic and philosopher Mikhail Bakhtin has been most influential for the expansion of the terminology. Using his theories on 'dialogism' Kristeva developed her intertextuality concept (Allen 2000, 150/Pfister 1985, 1). According to Bakhtin dialogism raised out of the dialogue between two different speeches in a novel. The first speech is the direct one that tells the story and the second one is the speech of the figures that implies the narrator's or author's voice. If these two speeches are combined Bakhtin talks about two levels of meaning which ensue his 'dialogism'. Bakhtin focuses exclusively on the levels of speech in a text and skips precise relations to other written or artificial works. This distinguishes his theory as intratextual and not intertextual (Pfister 1985, 3 - 5). Thereupon Julia Kristeva generalized and radicalized his developments and broadened them to the intertextual approach inasmuch as all texts are considered to be intertextual (Pfister 1985, 7f). According to Kristeva, relations to every other art form, culture, or real life occurrences also play a role for intertextual references. Consequently, there exist no independent texts anymore so that every written and artificial work is evaluated in context of all the other existing ones forming a network of textual relations. Therefore, meaning cannot only be extracted from a single text, but has to be interpreted in correlation to all the other texts. Graham Allen claims: "interpretation becomes tracing down those relations" (2000, 1) (Allen 2000, 1). "At the present time, any discussion of the place of intertextuality within the arts leads us towards the issue of Postmodernism. […] Postmodernism is a term which is employed by many to refer to the current historical, social and cultural epoch" (Allen 2000, 181). Therefore, the analysis of Flaubert's Parrot is also always connected with the novel's postmodern features that include intertextuality. Reputable exponents of Kristeva's theory are Roland Barthes and Harold Bloom who went as far as to claim that, in respect to the relations between texts, stabilized meaning does not exist. The famous essay on their theory "The Death of the Author" is still one of the most referred to texts in poststructuralist studies (Allen 2000, 4). Eventually, the intertextual theories were not only used in combination with literary criticism, but were also picked up by almost every artistic field such as painting, music, or architecture. Likewise, almost every other literary critical trend like poststructuralism, deconstructivism, or feminism picked up their ideas and incorporated them in to their studies (Allen 2000, 6). As the history of intertextuality has shown, the theory developed as a very open term that aimed to span the complete literary world. To utilize these broad and generalized theories for contemporary literary criticism, several scholars narrowed them down. Thus, the term intertextuality comprises the relations, references, and influences between written and artificial works and their impact on each other in terms of meaning and interpretation. Generally, one has to distinguish between two models of defining intertextuality in literature. On the one hand the specification on conscious, intended, and highlighted relations between one or more texts is considered to create intertextuality. On the other hand the broader model considers every text as a part of a universal intertext regardless of the author's intention. While the former model gives more consolidated results because it can be transferred more easily to analyzing categories and procedures the latter allows free interpretations to achieve new cognitions (Pfister 1985, 25). Certainly, both ways offer an appealing starting point for a literary analysis that focuses on textual relations. Its flexibility stimulated the theorists in a variety of movements and still is the subject for miscellaneous interpretations, which makes it difficult to find a clear definition. Theorists highlight the usage and outcomes of intertextuality rather than providing a proper definition, but all agree on specific characteristics that can be relied on (Allen 2000, 3). In the following paragraphs I will present these characteristics and their consequences that also involve some difficulties. I will show how different scholars determined an appropriate terminology in order to provide a systematic categorization of the intertextual varieties and to avoid inconsistency. For that purpose the work of Jeremy Hawthorn, Linda Hutcheon, and Gérard Genette will serve as main references. Every one of the intertextual characteristics can be traced back to the fact that to understand the meaning of a text an interpretation is necessary. Thereby the theory of intertextuality provides a new level of interpreting a text putting it in relation to other texts. The meaning is no longer extracted solely from the text itself but also stands in relation to every other text ever written, gaining further meaning as a result. Michael Worton and Judith Still explain that this occurs because every writer is inevitably influenced by everything he or she has read before and automatically processes this in his or her creations. On the other hand every reader brings his or her experience to the text and each reader interprets it in a new light and therefore an individual meaning (Worton, Still 1990, 1f). With this approach intertextuality supports postmodern accusations of a loss of originality and uniqueness. Indeed, scholars value intertextuality more as an advantageous development than a regression. Nevertheless, the fact that no text is dealt with as an independent unit anymore, but rather in correlation to other texts, raises some issues (Allen 2000, 5f). In terms of its broad receptiveness, there is a constant danger of misusing intertextuality as a universal and boundless resource to undermine also weak or unwarranted theories. If every text is related to every other written or artificial work there is the possibility of outlining similarities and their outcome that do not serve as proper literary critical statements (Allen 2000, 2). Therefore, literary theorists compiled guidelines to determine and narrow down intertextuality in texts and not exclusively to avoid the misusage of intertextual functions. They concentrated markings in the text that established intertextuality in form of textual devices and literary tools. Theorists distinguished various technical terms to designate their work on the intertextual devices by a proper terminology. Jeremy Hawthorn explains intertextuality in his summary of the basic concepts in modern literary studies by the terminology of 'intertext', and 'hypotext'. He defines it as the relation between two or more texts that influences the reading experience of the intertext. The intertext hereby is the text that is mainly dealt with. It is the intertext that is examined in relation to other texts. Hawthorn specifies his definition and claims that the term hypotext was also used to determine intertextuality. Therefore, several texts that offer intertextual relations can be summarized as one hypotext. Hawthorn explains that Gérard Genette shaped the phrase hypotext and used it to name the original text as well as the text it relates to beneath the designation of one unit. Moreover, Hawthorn differentiates intertextuality from transtextuality whereby, transtextuality designates an open relation between two texts that is not explicitly mentioned in the text. In contrast, intertextuality names relations that are particularly written in the text (Hawthorn 1992, 149). 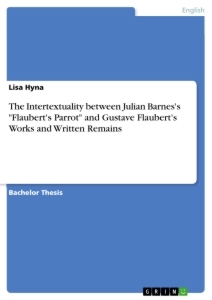 For the analysis of the intertextual relations in this thesis only the term intertext for Flaubert's Parrot will be used, because on the one hand the analysis will not only deal with two texts that can be summarized beneath the term hypotext and on the other hand the open interpretation that transtextuality implies will not serve as a narrowed guideline for the specialized investigation of the novel. There is also evidence of the term 'parody' in studies concerning intertextuality. In particular, parody plays a major role in Linda Hutcheon's studies on intertextuality. She points out that parody is the entry for intertextuality. Hutcheon's important achievement for the intertextual studies is her discourse on, as she named it, 'Postmodern historiographic metafiction' (Hutcheon 1984, 1ff). Yet, this connection between the postmodern historiographic metafiction and intertextuality is going to be discussed in detail in a subsequent passage in this paper. However, switching between the terminologies of parody or intertextuality results in confusion. Consequently, for the analysis of Flaubert's Parrot in this thesis the term parody for the intertextual relations will be avoided and only the term intertextuality will be used (Allen 2000, 189). Gérard Genette developed the most distinguished concept of the intertextual theory in terms of applying it to literary criticism. In his work 'Palimpsestes' he determines five subcategories that classify different intertextual perimeters. If one or more texts are concretely present in another text, for example with a quotation, allusion, or plagiarism, Genette calls it 'co-presence'. More accurate parallels between texts in the title, preface, epilogue, motto, or suchlike belong to 'paratextuality', according to Genette. A text criticizing another one matches his requirements for 'metatextuality'. Even if the text imitates another text in the form of an imitation, adaption, continuation, parody, or suchlike, the text corresponds to 'hypertextuality'. The last degree of Genette's classification is the 'architextuality' that labels one text's reference to another one's genre. With this categorization Genette hopes to provide a basis with which intertextual references can be analyzed on a specific and concise literary level (Pfister 1985, 17). In contrast to Kristeva's ideology, Genette's concept is suitable for the adoption on intertextual literature in a conscious and organized way. Following his example, Ulrich Broich and Manfred Pfister developed a system for tracing back intertextuality in novels. Their guidelines will serve as limitation of the theory in order to perform the task of a structured discussion on the novel's intertextuality. Ulrich Broich and Manfred Pfister worked together to expand Kristeva's theory. They elaborated precise features to identify intertextual relations, influenced by Mikhail Bakhtin's and Gérard Genette's findings. They base their analysis on the still controversial discussion which types of relations should be called intertextual. Furthermore, they argue that the most detailed studies on intertextuality need boundaries to achieve valid results at some point. Since the acceptance of a global intertext leaves too much scope for speculations that do not provide concrete criteria, a narrow concept becomes necessary (Pfister 1985, 15). Kristeva's horizontal and vertical dimensions of texts serve as groundwork for their conception. In the horizontal dimension the text refers to an addressee that is the author or recipient while in the vertical dimension the text is seen in association with prior literary texts (Pfister 1985, 11). Within this, Broich and Pfister aim to integrate the studies on textual relations such as sources, quotations, allusions, imitation, and parody into the intertextual theory. Thereby they summarize these intertextual tools beneath a reliable system that provides an incisive and definite categorization (Pfister 1985, 15). They argue that intertextual research does not consist of only collecting the devices, but moreover, of the analysis of the diverse relations between texts and their interplay to gain new literary concepts (Pfister 1985, 19). Accordingly, Broich and Pfister set the goal to develop a reliable system to differentiate intertextuality and determine its intensity. Therefore, they offer valid perimeters with a differentiation between 'qualitative' and 'quantitative' criteria. Manfred Pfister demonstrates six qualitative criteria to investigate intertextuality in literature. The first one is called 'referentiality' and designates the intensity between texts, which is how intensely one text relates to another one. The intensity is evaluated by the extent a text comments upon that reference. For example a quotation that is discussed in the text has a higher referential intertextuality than an undeclared quotation (Pfister 1985, 26). The second criterion describes the communicative relevance of the intertextual references. Hence, 'communicability' shows on the one hand the author's intention to provide his text with intertextuality. On the other hand communicability grades how easy it is for the reader to recognize it. This criterion prevents weak and superficial intertextual relations to be constituted as intertextuality and makes sure that a conscious usage of intertextual elements is acknowledged as strong relation (Pfister 1985, 27). The combination of these first two guidelines results in Pfister's third criterion. It is called 'autoreflexivity' and estimates not only the consciousness and obviousness of intertextual relations, but also how it deals with them. Accordingly, a text that reflects its own intertextuality and discusses its conditions, outcome, or problems is highly intertextual (Pfister 1985, 27). The guidelines for an intertextual evaluation are broadened and integrated on a syntagmatic level in the fourth criterion named 'structurality'. It shows how other texts are incorporated into a new one and how this reflects in its structure. Thus, texts that only relate selectively and casually to other texts have a low degree of intertextuality, whereas texts that reproduce the structure of its resemblance possess a high intertextual degree (Pfister 1985, 28). The fifth criterion continues to investigate the conciseness of intertextual relations. The term 'selectivity' estimates how exclusively the elements of other texts were chosen and to which extent these elements are emphasized in the new text. Hereby, the abstract potential determines whether the parallel is highly or mildly intertextual. That means that a concrete reference, such as a quotation, has a stronger intertextual grade than an allusion that only gives a hint on its intertextual context (Pfister 1985, 28). The focus of the sixth and last criterion is on the 'contextualization' of an intertextual relation. This criterion awards a very intense intertextuality in case a text views its source in an ironical perspective and thus undermines the original. In contrast, the sole translation or admiration for the precedent text only offers a weak intertextual potential. The strength of the contextualization of another text lies consequently in the challenging connotation (Pfister 1985, 29). These qualitative criteria were expanded by several quantitative criteria to gain an extensive groundwork for a detailed intertextual analysis. According to Ulrich Broich's narrow concept, intertextuality requires that the author on the one hand is aware of using other texts as references and on the other hand expects the reader to notice this influence. Moreover, the reader is supposed to acknowledge the intention of the author to create this intertextual relation as an important factor to understand the meaning of the text. This anticipation triggers a communication process in which the author and the reader are not only conscious of the intertextuality of the text, but also expect the other's awareness of the intertextuality. Therefore, the consciousness of the interdependence on both sides is the crucial characteristic to call a text intertextual (Broich 1985, 31). With this restrictive method, Broich emphasizes that these expectations on both sides bring about the author's intention to mark the intertextual relations. That means that normally there are clear not yet obligatory marks of intertextuality to be found in texts, in contrast to texts in which the author did not consciously integrate intertextual references (Broich 1985, 31f). Moreover, the referred object does not have to be mentioned directly to be understandable for the reader. It rather can be expressed in various ways as well as it can differ in obviousness. Depending on the intended audience the intertextual relation appears in diverse manners (Broich 1985, 33). Broich stresses that marking intertextuality is also essential, because if only repetition caused intertextuality, both would be tantamount. Intertextuality results in many more forms of literary reference (Broich 1985, 34). Generally, there are no fixed markers for intertextuality. Their range is as diverse as their intensity. Nevertheless, Broich differentiates them into the outer communication system that only addresses the recipient and the inner communication system that refers to the characters in the text (Broich 1985, 39). According to Broich the marking of intertextuality in the outer communication system can be as plain as using another text in a footnote. Also printing the referred text next to the new text is a directly comparable and obvious way to mark an intertextual relation as well as to integrate a reference in the text's title or subtitle. Likewise, the figures' names often build an intertextual level. If a text is equipped with a preface, epilogue, or a note of that kind, these can offer conclusions for intertextual relations. The author can also verbally present intertextual references while commenting on his work without providing a written marking (Broich 1985, 35 – 39, 41). The inner communication system obviously contains intertextuality when a text in form of a book or suchlike occurs in the story as physical object. The circumstance where the characters in the text are not aware of their intertextual interaction distinguishes his intertextual form. A more intense example of intertextuality is when figures from other literary texts appear in another work (Broich 1985, 39ff). While these immanent intertextual structures can be found more often, it usually occurs that one in particular directly demands the reader's attention. The different possibilities to mark intertextuality also merge in a text and authors use diverse levels of intensity, especially when he or she intends to ensure that the reader recognizes the intertextuality (Broich 1985, 41, 44). Pfister and Broich clarify their awareness of the probability that their concept is only going to serve as temporal schemata until other scholars develop a new application (Pfister 1985, 11). As the current critical literature on intertextuality shows, this has never happened. As a result and due to its accessibility the following examination of Flaubert's Parrot on intertextual references to Flaubert's works and written remains was written in respect to Broich's and Pfister's application on intertextuality. Article "Intertextuality" in: Hawthorn, Jeremy. 1992. 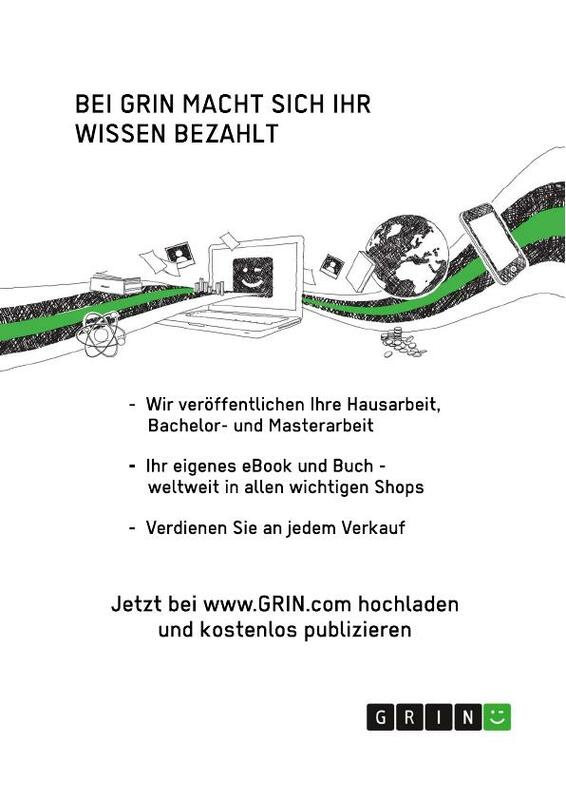 Grundbegriffe moderner Literaturtheorie. Tübingen, Basel: Francke Verlag.